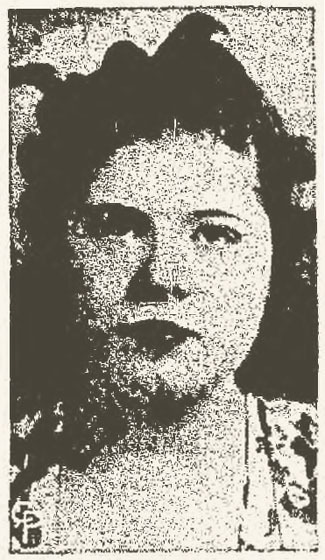 Roxie Green as she appeared in the September 28th, 1947 edition of The Marion Star. It’s an early Friday evening in the fall of 1947. 16-year-old sophomore Roxie Green has just returned to Prospect High School by school bus after attending a football game in Chesterville. Roxie and one of her girlfriends, Norma Jean Sparks, walk to Norma’s house in Prospect. After talking for a bit, Roxie says goodbye and begins walking the four-and-a-half miles to the Green home on Lauer Road. As she makes her way along Route 47, a man pulls up alongside her and asks her if she needs a lift. Taking him up on the offer, she jumps on the running board of the car and tells him where she lives. Roxie Green, however, never makes it home. Roxie went missing on September 19th, and while it would be over a week before the people of Marion County learned what had actually happened to her, the sheriff’s department almost immediately had a suspect in her disappearance: a balding and “slightly built” 32-year-old Prospect man named Ray Shappard. The reason for law enforcement’s interest in Shappard was simple: A few witnesses had come forward saying they had seen an older model Ford in the area around the time Roxie disappeared, and Shappard drove a 1928 Model A Ford. On Sunday, September 21st, 1947, Sheriff Leroy Retterer and his Deputy, Edward Fink, paid Shappard a visit at his parents’ home in Prospect. When Deputy Fink asked Shappard where he had been on the afternoon of September 19th, Shappard claimed he had been at work at the Scioto Ordinance Plant until clocking out at around 3:30. After work he had gone to a few bars in Marion and then to Prospect where he picked up his wife and child. Shappard took his wife and child over to her foster-parents’ place before leaving to pick up some groceries. Under questioning, however, he admitted that he had actually driven in the direction of Waldo to buy beer. He was gone for about an hour and Mrs. Shappard later told Sheriff Retterer that he had returned without any groceries. Members of law enforcement speculated that it was while he was driving to Waldo that he spotted Roxie Green walking home. However, the sheriff lacked the evidence needed to arrest Shappard, and he remained a free man while the search for Roxie Green continued. On the evening Roxie Green disappeared, Ray Shappard’s Model A Ford was seen in the area. Roxie Green’s whereabouts were still unknown on September 28th when Sheriff Retterer asked Shappard to come in for another round of questions. That night Shappard admitted he may have hit a girl with his car on the 19th, though he couldn’t really remember. When Sheriff Retterer carefully asked him where he would’ve hidden the body in such a situation, he named a section of woods southeast of Prospect where he frequently hunted. Wasting no time, Sheriff Retterer and a few other officers drove Shappard out to the woods he had mentioned, but they found nothing. Oddly, when they returned to Marion, Shappard said that he might be able to remember more if he got a good night’s sleep. The sheriff obliged by putting Shappard in a single cell for the night. The next morning Shappard asked someone to bring his wife to the jail because he needed to speak to her. It was shortly after talking to her that Shappard was ready to confess what he knew about Roxie Green’s disappearance. Even today, a murder of such brutality is hard to imagine. (According to the article appearing in the Star on September 29th, “a hole about three inches long and an inch wide showed plainly in the skull.”) And if the crime itself were not callous enough, Shappard’s actions after the murder were even more appalling. He told law enforcement that after leaving Roxie’s body near the side of Norton Road and getting rid of the hammer, he drove to Waldo where he had a few beers before returning to Prospect. Incredibly, he took his wife out dancing later that night. Of course, upon hearing Shappard’s confession, the sheriff immediately placed Shappard under arrest and asked him if he could take them to the location of Roxie’s body. Shappard said he could. Sheriff Retterer, along with Marion County Prosecutor James Reed, once again took Shappard out to the southern part of Marion County, though this time Shappard directed them to a section of Norton Road just east of the Olentangy River that’s on the Marion-Delaware County line. Almost immediately they spotted Roxie’s partially hidden body. A short time later they recovered the blood-stained hammer as well. 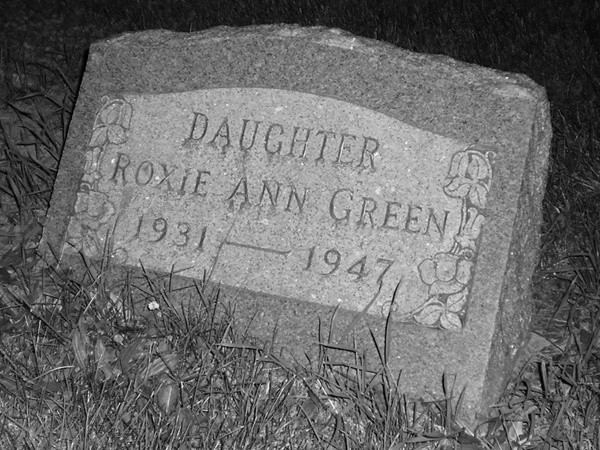 Roxie Green is buried in the Marion Cemetery. Her classmates helped pay for the gravestone. On Wednesday, October 1st, 1947, the day Roxie’s funeral was being held, Common Pleas Court Bailiff Fred Miller was busy assembling a grand jury to consider Shappard’s case later in the week. Unsurprisingly, the grand jury indicted Shappard for the murder of Roxie Green. By December of 1947 a jury had been selected, and the trial got underway on the 10th. It soon became clear that Shappard’s defense attorneys, Ralph and Dwight Carhart, were not going to argue that Shappard hadn’t killed Roxie. The sheriff had Shappard’s confession, after all. But the Carharts did argue that Shappard’s crime against Roxie was one of “impulse” rather than premeditation and thus they were hoping for a verdict of manslaughter rather than murder. For his part, County Prosecutor James Reed had no problem convincing the jury to return a guilty verdict.2 However, their verdict also carried a recommendation of mercy for Shappard. This meant that Shappard would receive a mandatory life sentence but would be spared death. On December 17th, Sheriff Retterer transported Shappard to the Ohio penitentiary in Columbus where he began serving his life sentence. 1 This was not even the first murder in Marion County where the weapon of choice was a hammer. 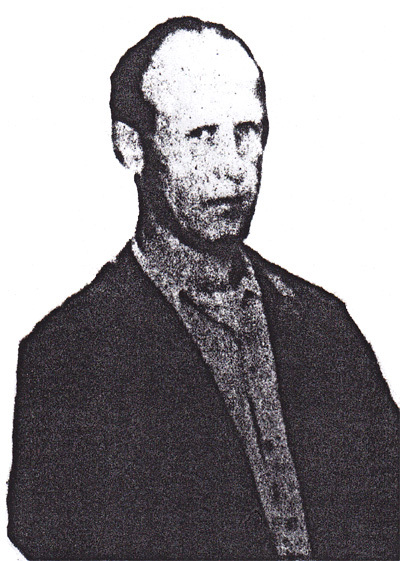 History of Marion County relates a story of James Lefever, who, on May 14th, 1874, beat Frank Johnson to death with a hammer in Lefever’s Green Camp blacksmith shop. While Lefever claimed in court that a drunk and belligerent Johnson had threatened him first, the court apparently didn’t buy Lefever’s self-defense claim. He was found guilty of second degree murder and sentenced to life. For reasons unknown, the governor pardoned him just four years later. The story of Roxie Green is interesting. She was a relative somehow. On my grandmother’s side. I have only heard of her maybe twice in 47 years. I do know that her killer is still living in Marion. He’s 96 or so. Ray Shappard is still alive? You’re kidding! Norma Jean Sparks is my sister and was with Roxie earlier in the evening the night she was murdered. A neighbor had told us later that a “man” was seen walking up and down the sidewalk across from our house the night Roxie was murdered. According to this neighbor, the man continued to walk back and forth looking across the street at our house and small grocery store. I don’t think this information was ever considered in the trial. Interesting! So do you think that this ‘man’ the neighbor saw was not Ray Shappard but another person entirely? A lot of people don’t know this, but Roxie Green’s mother and Ray wear lovers. I don’t known for sure, but I heard he took blame for her. Hey Kelly, that’s interesting and the first I’ve ever heard anything like this. How did you hear all of this? Are you related to Ray Shappard? What do you mean by “he took the blame for her”? Are you saying Ray Shappard didn’t kill Roxie Green? This is Anthony Sheppard, and from what the family knows, someone else killed Roxie Green and he took the blame for the murder. We think one of Ray’s friend s killed her, but we don’t know for sure. Ray Shappard passed away on Dec. 18, 1990. We never knew exactly what happened. There were people in Prospect who said he was innocent, but it’s something we will never know. He was married but having an affair with Roxy Green’s mother. It was said that she hit Roxy and that Ray loved her mother so much that he went to prison for her. Who really knows though?